Chirp! Chirp! These are not your ordinary eggs you find at the grocery! 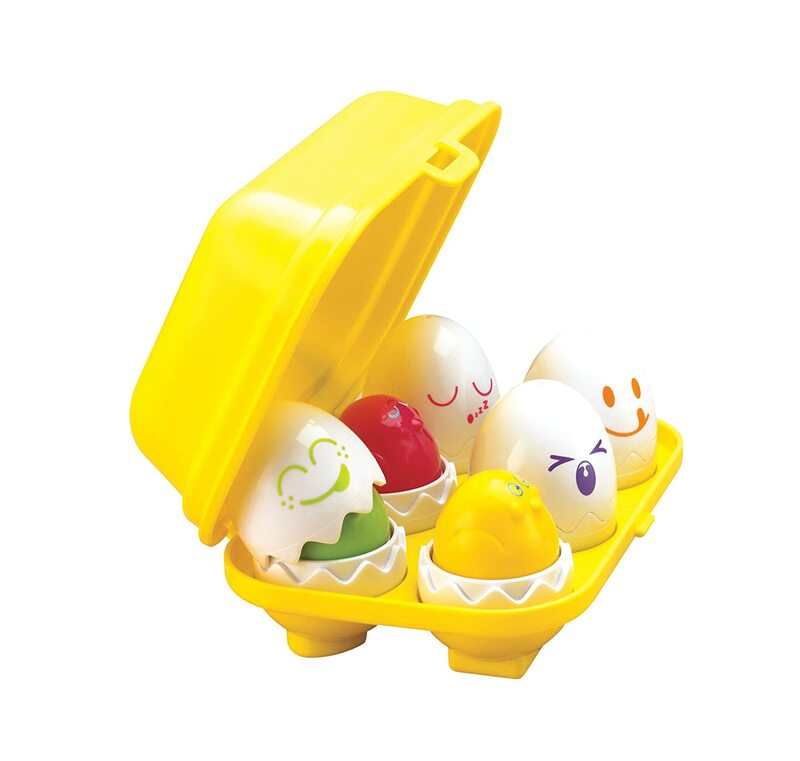 Crack open the shells to reveal six egg-stra special chicks. 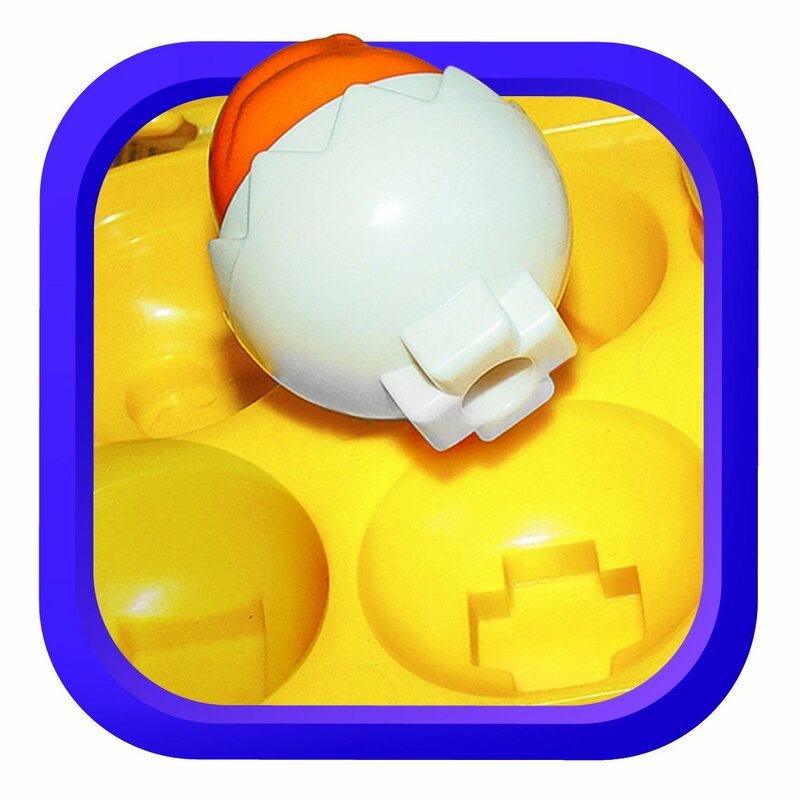 Learn shapes by sorting each shell into it's own carton spot. Six different face/shell combinations included. Press down gently on their heads to hear them cheep! Best of all, no batteries are needed! Recommended for ages 12 months and up. Great gift idea! Shells crack open to reveal six egg-stra special colorful chicks. Press down gently on their heads to hear them peep. In stock on April 1, 2015. 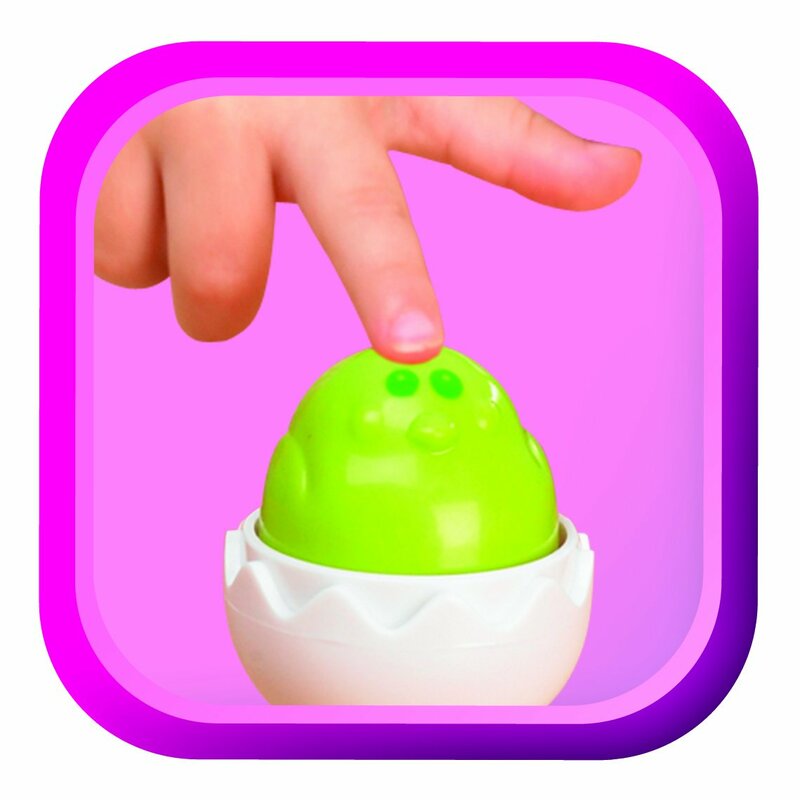 This is one smart toy! 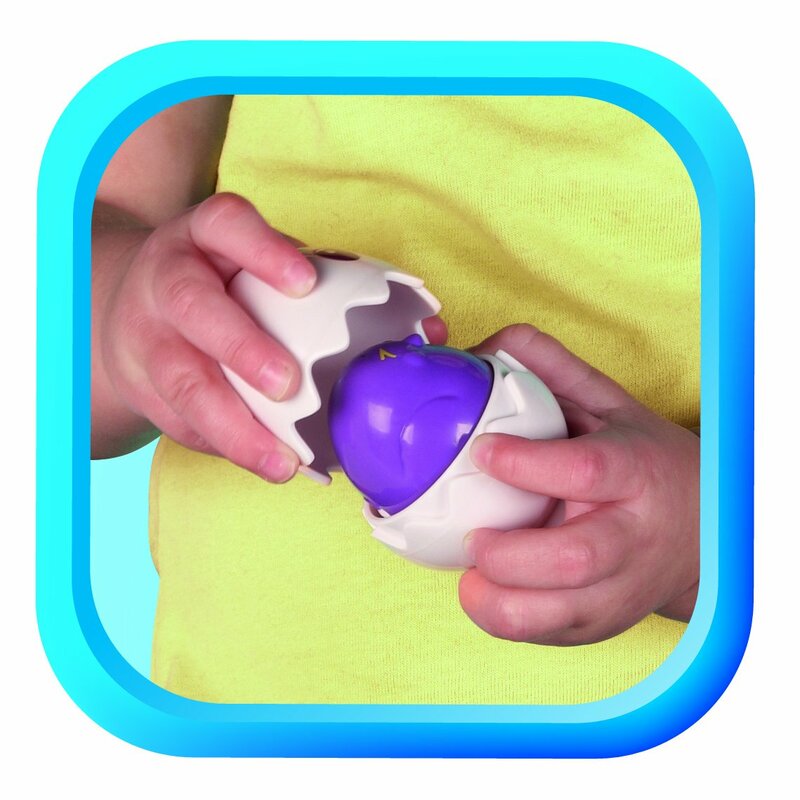 The eggs come apart and inside is a colored egg that squeaks when you push it. That was the primary source of fun at first. 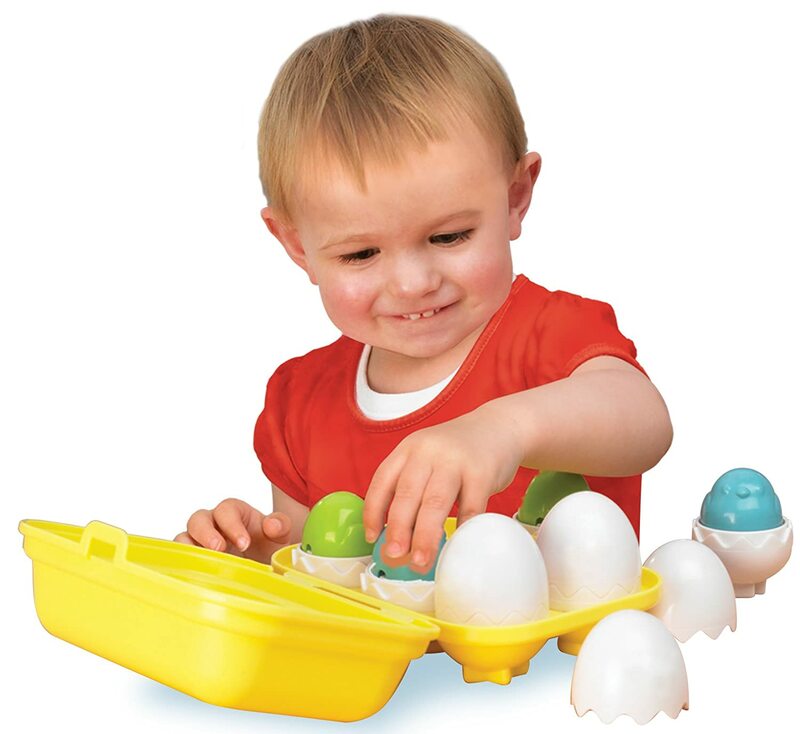 baby's coordination improved to became interested in putting the "hats" back on top each egg. 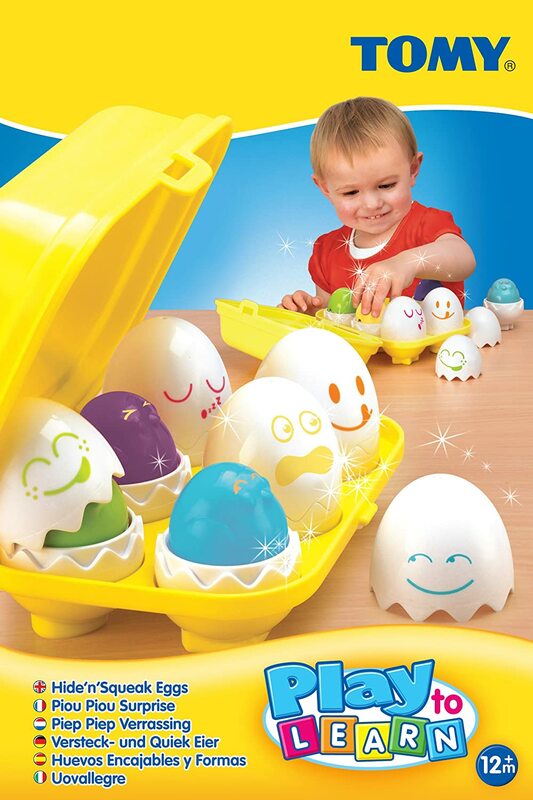 Makes baby try and put each egg in its proper space - the bottom of each egg has a protrouding star, circle, etc. that fits in the matching star, circle, etc. in the bottom of the egg carton. As she gets even older, I'm sure she will enjoy matching the unique eyes/mouth on each colored with the coordinating top. I am so impressed with how this grows with her, but most importantly, every single kid who comes over to our house goes nuts about this toy. There is something wonderful about it, it can't be beat! It has three colors for the six chicks, and the outside egg faces are all in brown. 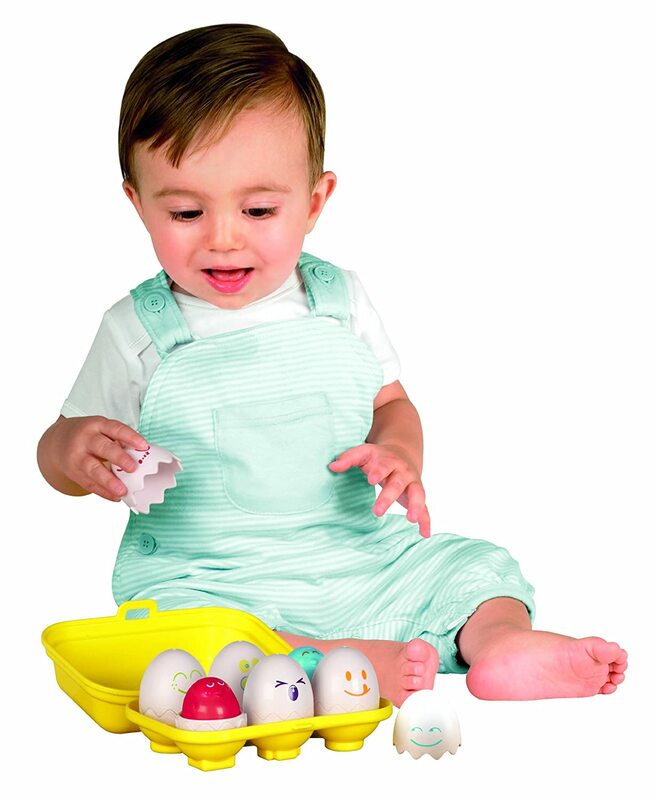 I wanted this set because it appears the company has improved on it with six different colors on the chicks and matching face colors on the egg toppers.